Playful, cheery and beautiful! 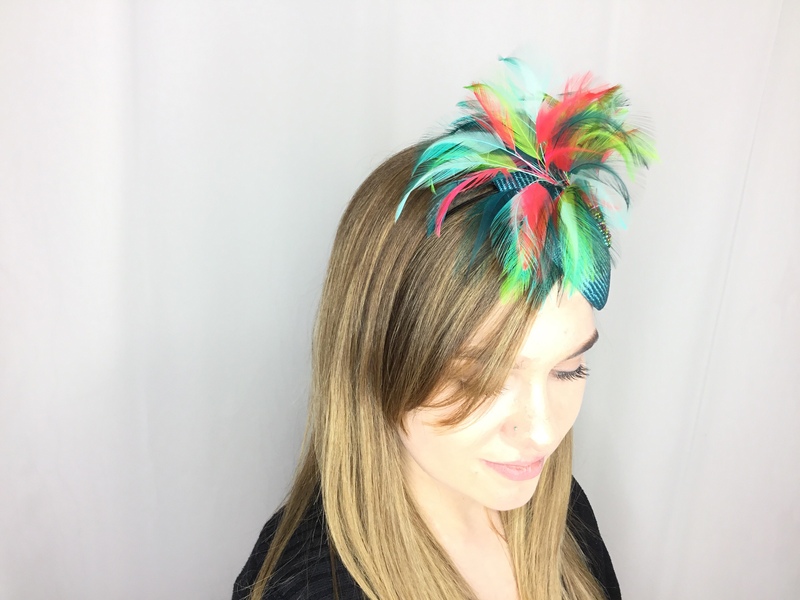 This button fascinator has a toyo base with over-dyed bright feathers, finished with multi-colored beads. Better than an Easter bonnet, this hat completes your brunch outfit, while doubling as an evening party hat! Be prepared to improve the mood of everyone around you. You may even draw the sun out from behind the clouds— it’s that powerful! 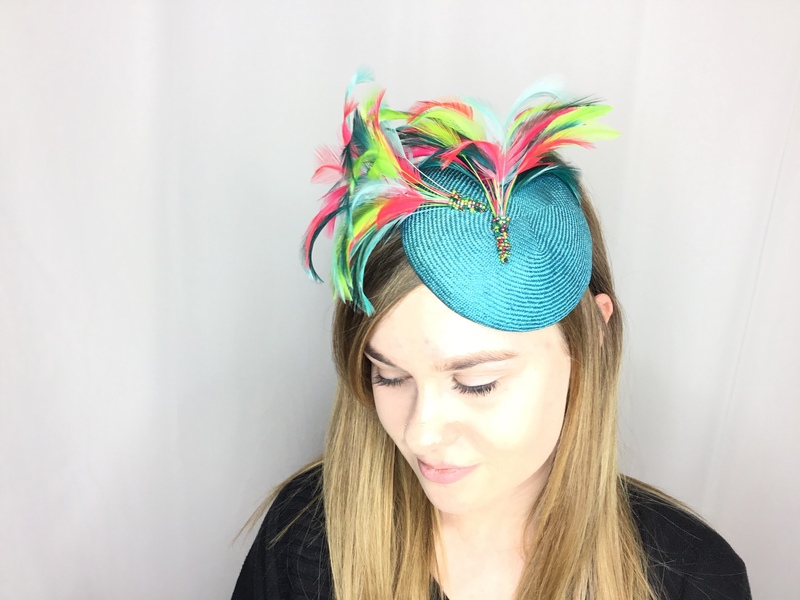 This wonderful little hat is held in place with a millinery elastic and one size fits all.